Stunning Faden Quartz Crystal Cluster from Tole, Wana, South Waziristan, Pakistan. 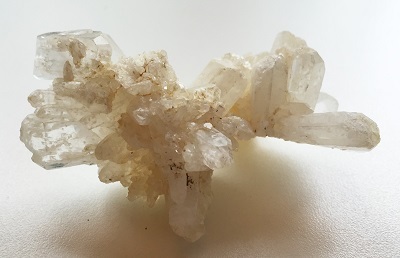 Faden Quartz Crystal is a crystal of “connection.” Faden Quartz Crystal supports the connective forces between self and a chosen recipient. Faden Quartz Crystal creates and maintains an ethereal connection with others on this plane, on other planes and dimensions. Faden Quartz Crystal is a good crystal tool for astral travel and the exploration of parallel dimensions of one’s reality. The “thread” found within the Faden Quartz Crystal is said to represent the “silver cord” that attaches to the subtle body to the physical during out of body experiences. Faden Quartz Crystal resonates with energy promoting astral travel and offers protection while travelling on this physical plane and other dimensions. 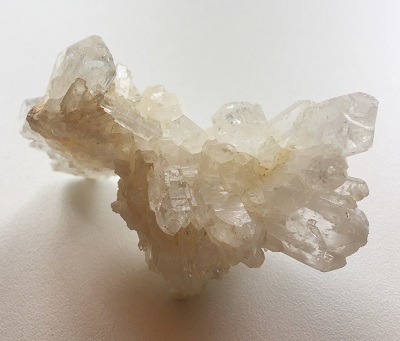 Faden Quartz Crystal helps to provide a direction for “lumps” and other disorders to leave the body and create a positive pathway for rejuvenation and recovery. 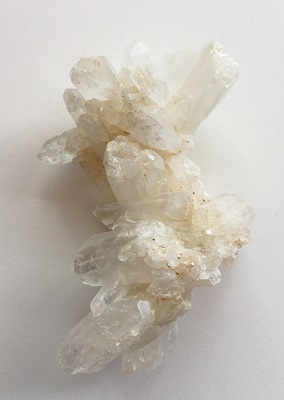 Faden Quartz Crystal enhances self-healing and provides a direction for personal growth, the integration of fragmented soul parts, and balances emotional stability. Crystal Clusters radiate energy out to the surrounding environment and absorb detrimental energy. Clusters of crystals bring the “group” energy of the associated crystal to the surrounding environment. Crystal Clusters enhance harmony and peace in groups, in the family and in other social and/or business environments. Crystal Clusters offer protection and purification in environments while facilitating cooperation, friendship, and intimacy in relationships. Crystal Clusters may be programmed and are useful in cleansing a room or other crystals. In healing, Faden Quartz Crystal may be beneficial in cellular healing and expedites the healing of bone fractures, muscle tears, and nervous system disorders. Faden Quartz Crystal act as an etheric bandage fostering stability so a healing may occur on a deeper level. It has been said Quartz crystal amplifies energy and is used extensively in meditation, spiritual development and healing. Quartz Crystals have been used in diagnostic healing, in raising the consciousness toward the enlightened state, and in communicating with the spirits and from those from other worlds. 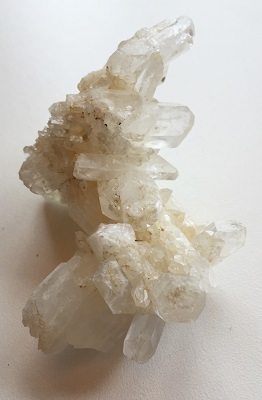 Quartz crystal works at a vibrational level attuned to the specific energy requirements of the person needing healing or undertaking spiritual work. Quartz crystal raises energy to the highest possible level, works on all level of being, connects to all chakras and enhances psychic abilities and attunes one to one’s spiritual purpose. Quartz is a master healer; it stimulates the immune system and brings the body into balance.